This Hickory Dickory Dock Telling Time Game is such a fun kindergarten activity using this classic nursery rhyme. Hickory Dickory Dock, the mouse ran up the clock… A popular nursery rhyme for children and a perfect opportunity to incorporate learning about time! 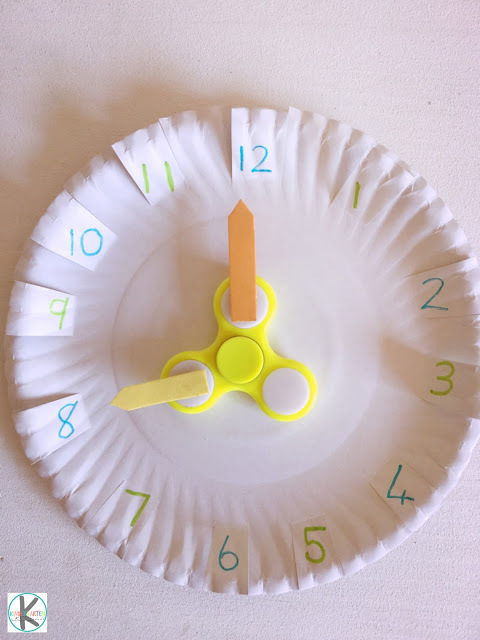 Make a clock from a paper plate and combine it with a spinner to turn it into Hickory Dickory Dock Telling Time Game! Plate Two – the other plate must be marked with the digital clock numbers. Cut the 12 hour clock as shown above so that the flaps can be lifted to see the corresponding digital clock numbers counting by 5s. Again going clockwise around the clock from 5-60. 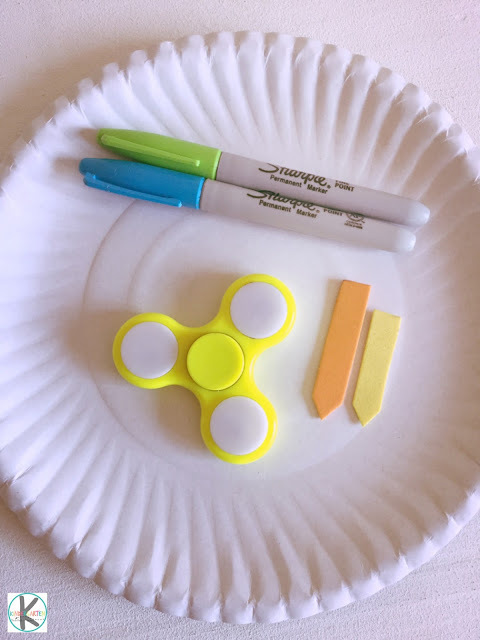 Glue the two plates together and make a mark in the middle of the top plate to the place the spinner. 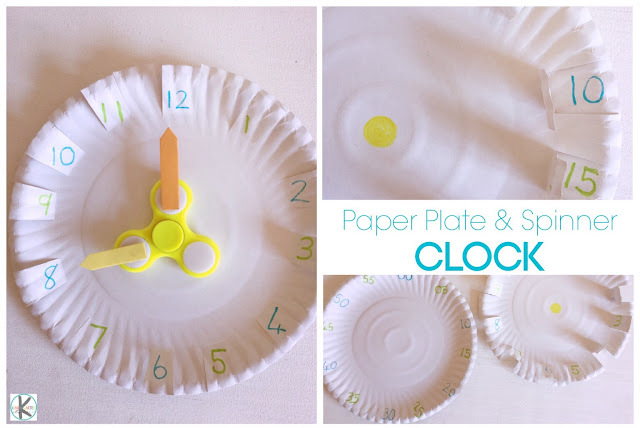 Add the “clock arms” to the spinner and place in the middle of the plate. 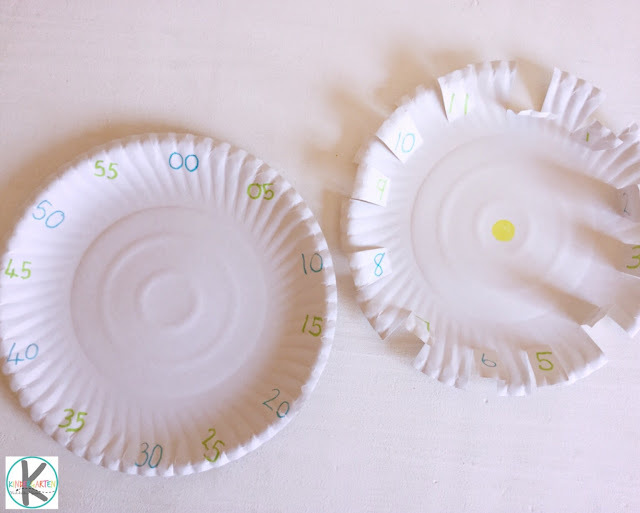 “Hickory Dickory Dock, the mouse ran up the clock, the clock struck 8, the mouse ran down, Hickory Dickory Dock.” Even though it does not rhyme like the original 1 o’clock, it does not matter much since the objective with this activity is to learn to read a clock. Your older kids can use the digit clock at the back for extension time-related learning activities in the place of using the nursery rhyme. For instance, let them write down the digital version of the time the spinner lands on.